DRIFTERS has found the perfect shade tent! 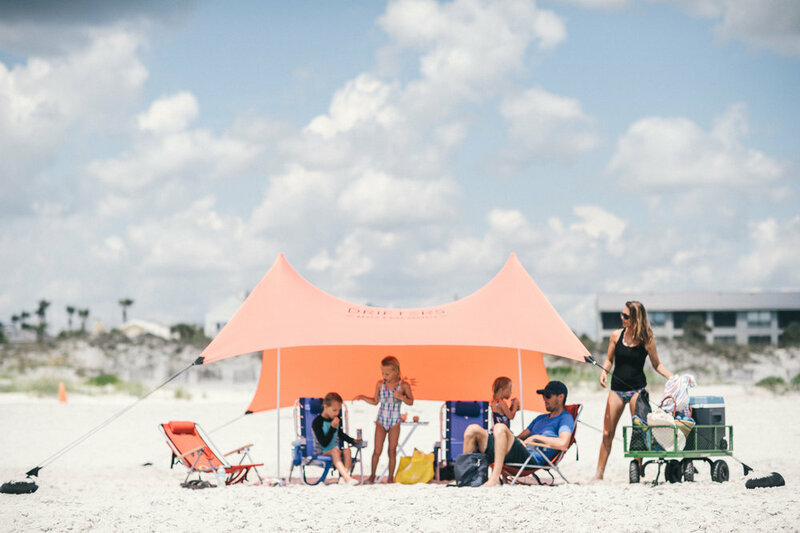 Designed to be the easiest setup on the beach, you won't have to deal with the worry of making sure your shade doesn't fly away like all the umbrellas out there. Giving you a stress free set up allows you to spend more time relaxing and not digging, or setting anchors just to keep you in the shade. Made with a Lycra/Nylon blend allows for a light load keeping it easy for you to take to the beach. With a canvas cover that's just over 6ft x 6ft and standing around 5ft giving you 50+UPF and water resistant shade. DRIFTERS Neso Grande Tent has all the room needed for the whole family! These Grande tents give you 50+UPF and water resistant shade with over 9ft by 9ft of canvas cover and standing just over 7ft tall, you have all the room needed for family and friends!